With the launching of Moto z, the hypes in the world of droids and phones have increased. 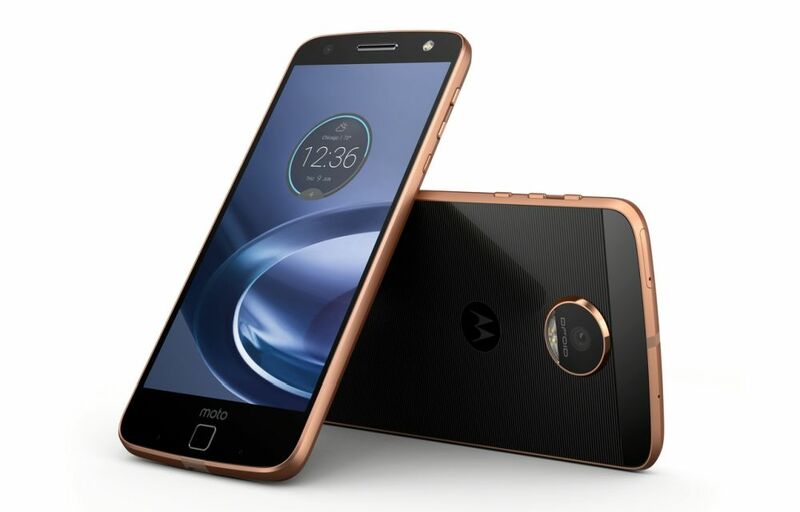 In June 2016, the company Motorola has launched their new Z series Smartphone named as Moto Z. The phone is power packed with all latest features including huge battery and blazing fast 4 GBs RAM. Have a look at other features of this amazing smartphone. Day by day, the company is improving their Smartphone’s display and this time, the results are amazing. You can check out the Homeshop18 offers to enjoy grabbing this phone within your budget. Motorola Moto Z comes with a whopping 5.50 inches multi-touch display with a resolution of 1440 pixels by 2560 pixels. Display of the handset comes with 77% more pixels than an FHD display. The display is enough to play or capture 4K video. The Smartphone is powered by 1.8 GHz quad-core processor along with 4 GB RAM. The processor belongs to Qualcomm Snapdragon 820’s family. Its quad-core based processor lets you enjoy multitasking and even multiprogramming at blazing fast speed. The phone’s motherboard amalgamates processor and RAM in such a way so that user enjoys heavy games without phone lagging and hung-up issues. It comes with 64 GB internal memory so that user never runs out of storage. The best part is that user can also expand storage memory up to 2000 GBs or 2 TB by using an external microSD memory card. Like other Motorola’s flagship phones, Moto Z also comes with a powerful camera along with endless additional features. It is equipped with a 13 MP rear camera with laser autofocus and optical image stabilization modes which assist the user in capturing true-to-life pictures in any lightning condition. No matter, where are you and what are you doing, its camera offers you crystal clear detail. Along with the rear camera, the handset also comes with 5 MP front camera with an extra flash and wide-angle lens. With the help of wide angle lens and an extra LED flash, you can easily take selfies to groupfies even in low light. It is powered by Android 6.0.1 version’s operating system and can be upgradable to Android Nougat (when available). Thanks to phone’s huge 2600 mAh battery that lets you browse the web, download apps, watch movies or any other thing you want to do throughout the day. Along with this, it also comes with TurboPower charger that charges your phone instantly. With the help of powerful charger, it can get up to 7 hours battery life in just fifteen minutes of charging. This Ultra-thin designed smart phone comes with Moto Mods feature that lets you transform your device into a high-end professional camera or a projector. In addition to this, the phone also comes with several types of sensors such as fingerprint reader, accelerometer, ambient light, gyroscope, proximity sensor, magnetometer, etc. and you can explore the discount deals for this phone at CouponDekho. The smart phone is also equipped with advanced connectivity options such as Bluetooth version 4.1 LE technology, NFC, 802.11 a/b/g/n/ac Wi-Fi standard, 3.5mm to USB-C headphone port, etc.